Last week I shared some pretty pajamas that don't break the bank, and ended up purchasing this set and this nightshirt from the post! I'm happy to report that both are wonderful, especially for the price! Leon and George sent this beautiful plant + planter to me in the mail (so cool right??) and I've finally found my perfect dining room table centerpiece! I love having as many plants around the house as possible and am approaching plant lady territory! Witch hazel helps with acne and oiliness, is super soothing to sensitive skin, and is really refreshing + de-puffing. 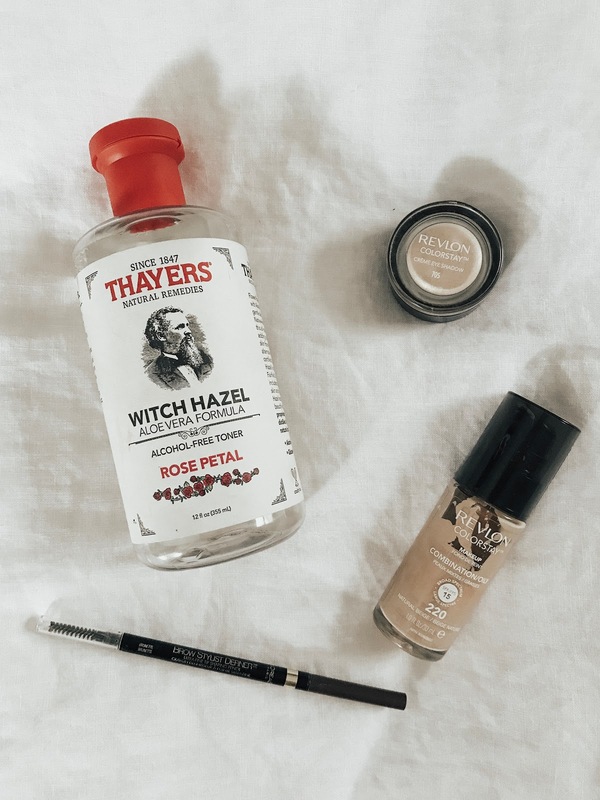 I love the subtle rose scent and use this toner both in the morning and at night! It's my new favorite skincare product! I picked this up at the drugstore on a whim, but it's such a lovely product! It blends easily (I just use my finger tip), has a really pretty glow, and lasts all day! As much as I love doing a full eyeshadow look, sometimes it's nice to have a quick option that's equally pretty. I've written about this before, but just picked it up again when I ran out of my beloved Brow Whiz by Anastasia of Beverly Hills, and it's SO GOOD. It really is a perfect dupe! This is another drugstore product I've returned to, and it's my favorite summer foundation! It's lightweight but builds to full coverage and also doesn't get weird if you sweat. I buy the combination/oily version, but they also make one for dry skin! Celebrating four years of marriage with this cutie! I'm looking forward to a quick getaway this weekend to celebrate!